Jeffrey Cantella goes the extra mile to source terrific pours. The wine and beverage director at Novara in East Milton traversed Italy’s boot “from toe to top” to meet vintners and select bottles for the restaurant, located in a revamped space that once housed Milton Cinema. One of those discoveries is a 2013 Valpolicella Ripasso ($9 a glass, $32 abottle) from Veneto producer Remo Farina.Cantella describes the corvina-rondinella blend as “soft, velvety, and round” with added complexity from a second fermentation on grape skins used to make Amarone. Chicken saltimbocca is terrific with this red. Executive chef Tony DeRienzo rolls prosciutto, boneless breast meat, and Fontina cheese into a bundle that goes into the oven. 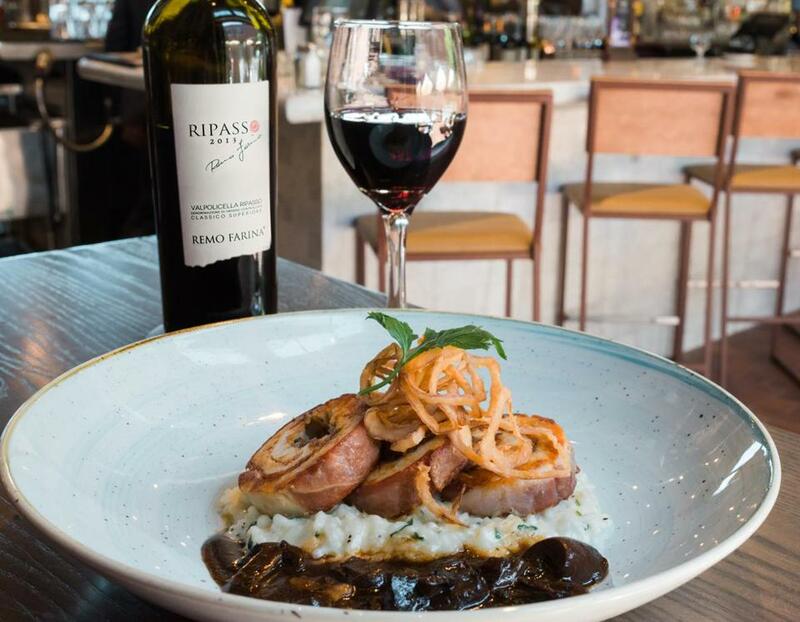 Slices are plated on creamy risotto with mushrooms sauced in veal demi-glace, and adorned with crispy fried onions. The wine pro admires how the pour’s robust fruit provides a counterpoint to the salty cured meat in the dish. We’re impressed that he logged some serious miles to pick this wine.